Dr. Styrt’s office is known for their work in helping patients perfect their smiles with Invisalign, which has become a popular way to achieve straight teeth without highly visible braces. Dr. Styrt is one of the top 1% providers in the country for Invisalign. The office provides continuing education courses to local dentists and their staff throughout the year, on topics relevant to professionals in dentistry. To benefit the community, Dr. Styrt offers pro bono treatment to a family in need each year. The team also works to educate the greater community on the importance of dental health and hygiene. Dr. Styrt’s office is also known for their outreach to local schools, complete with a visit from a magical tooth fairy who provides not only education but also a fun and memorable experience for kids. It is clear that Dr. Styrt’s entire office is passionate about their work. 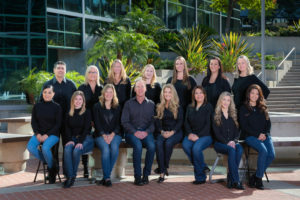 If you would like to learn more about Dr. Paul J. Styrt and Associates, visit www.drstyrt.com.